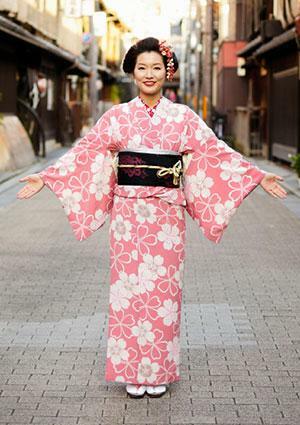 The pattern of the robe looks similar to a kimono. Vajra the brahmin figures seem to have the sacred thread angavastra and dhoti rather than a single robe. It is interesting that the right shoulder is uncovered. So robe and sacred thread both go over left shoulder. Whereas the Iranian kushti is worn around the waist. So at some point the Vedic people might have switched from a thread around waist to thread around shoulder. The arm band is a thread with tabeez. Common in India. Its not a solid metal armband. The head band is a ribbon with a ring. Not a diadem like all metal band. I have never seen or heard about such an ornamentation in India. Strange and unusual. 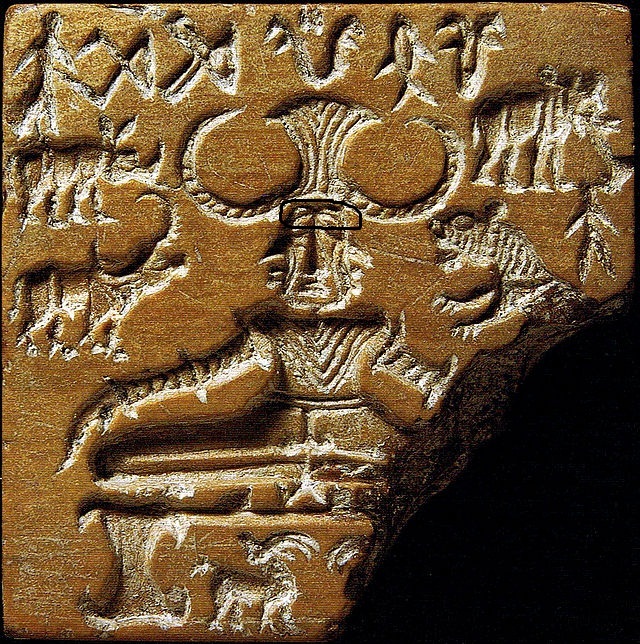 Sacred thread is not visible in the Brahmin figures from early Buddhist stupas like Bharhut,Sanchi etc either. Would the gold ring in the middle of the forehead symbolize the third eye? It seems the figure of Pashupati Seal too is having same type headband. Just down the crown, it is like a seal is tied and it has two tapes on each side. I cant see it,could you please mark it out? See in the black, I think it is some sort of headband. I went thru the long image gallery and found only one other image mask with beard and no moustache. No head band though. Mesopotamian kings wore a ribbon and this might have been similar. Even the dancing girl looks African than indian. Clearly influenced by trade with Mesopotamia and Ethiopia. Third eye idea is very evocative though. Pashupati seal and other figures and seals don't have headband. I looked long and hard.